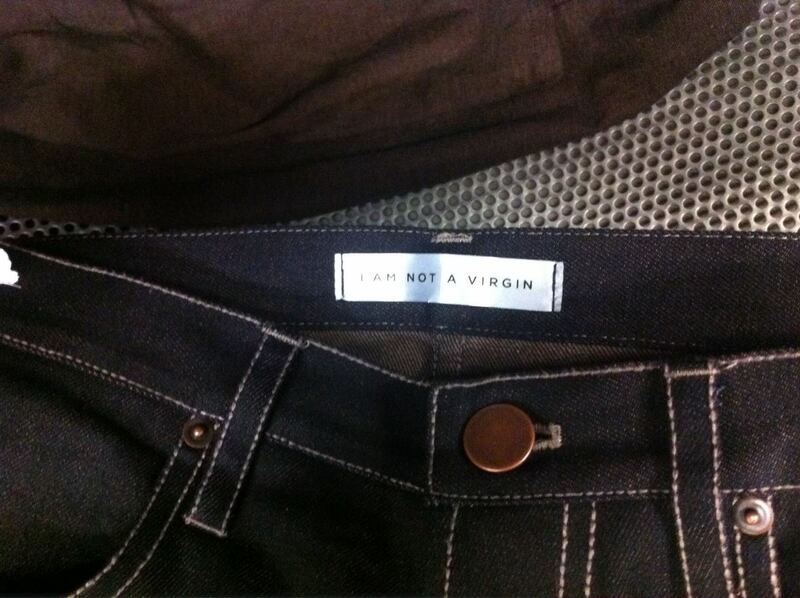 The owner of the brand “I am not a Virgin” was stalking my LinkedIn profile so I got in contact. It’s eye opening to see different people take on environmental issues. Peter Heron has an advertising background and did a sewing course to learn how to make jeans. The idea of using cotton and recycled plastic/bottles to make jeans isn’t new, even Pharrell’s company Bionic Yarn has signed up with G-Star and recently with Adidas to do just the same thing. What I like here is the mixture of messages – fun, engaging and educational. We all know what the issues are, the problem is that there are not as many options out there as we thought. If this brand takes off it means that we one more option. I just spent a fortune on True Religion trousers. I search everywhere for a product that fits my values and my arse but none to be found. I could have bought nothing, but there was a gap in my wardrobe and I loved the trousers. I probably won’t shop again for trousers for another couple of years and by then I hope that companies like this will have found investment and be available on a wider scale.